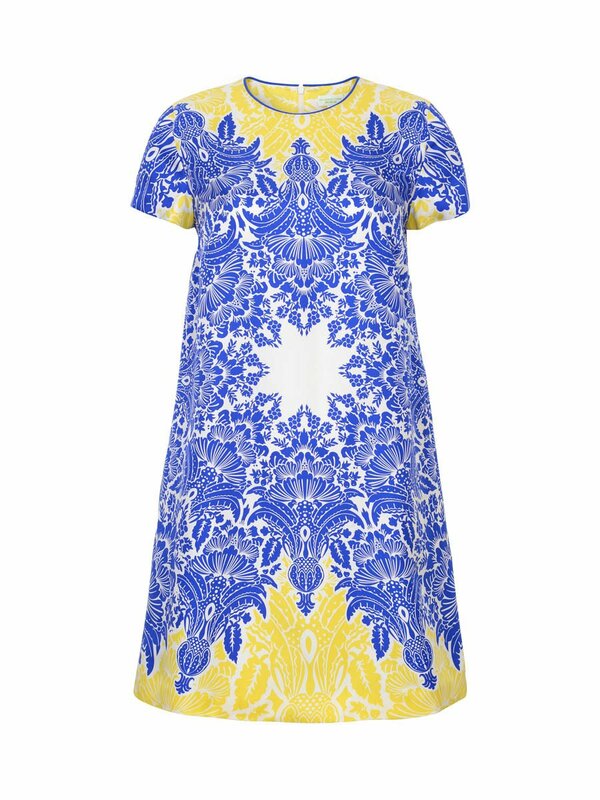 This simple shift dress is transformed by the sensational Prisma Ornaments print, inspired by Wedgwood and Chinese ceramics, and with a striking kaleidoscope effect. 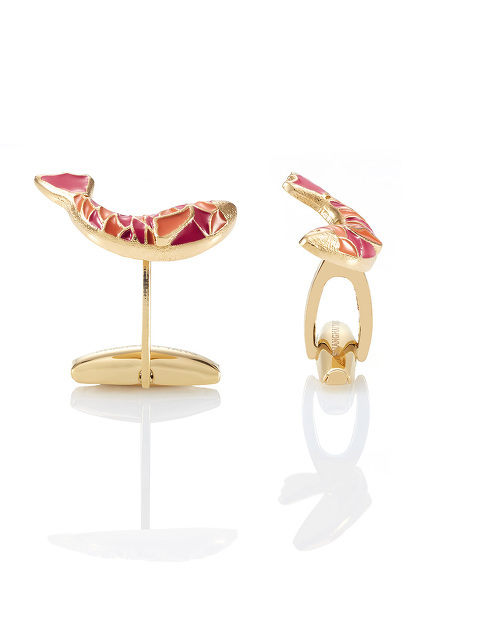 Easy to wear, with short sleeves, the dress comes in radiant colours that suit summer. 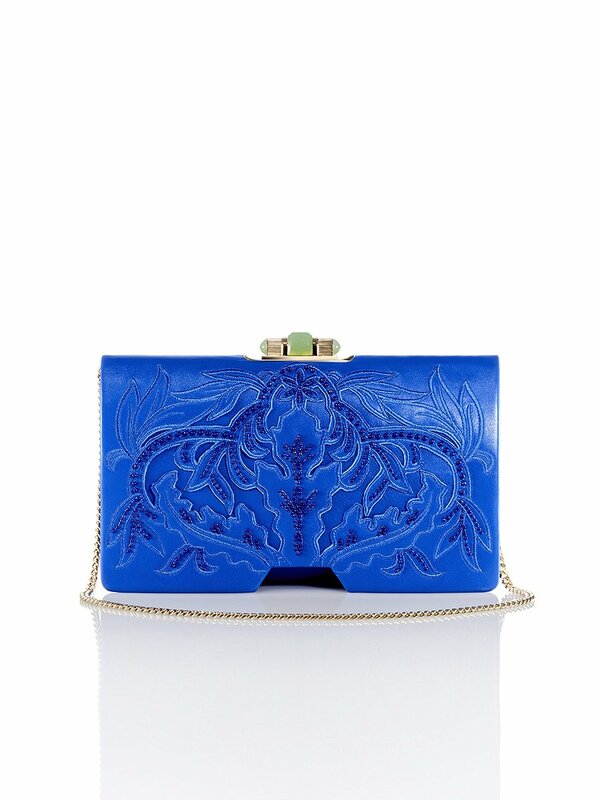 This carefully crafted clutch has a floral design inspired by Chinese ceramics, with the pattern created using an intricate applique and beading technique. Perfect for day into evening use, it can be carried as a clutch or shoulder bag. This glorious summer dress, with a long flowing skirt in fluid silk, has a vivacious aesthetic and is perfect for cocktails on a balmy evening. 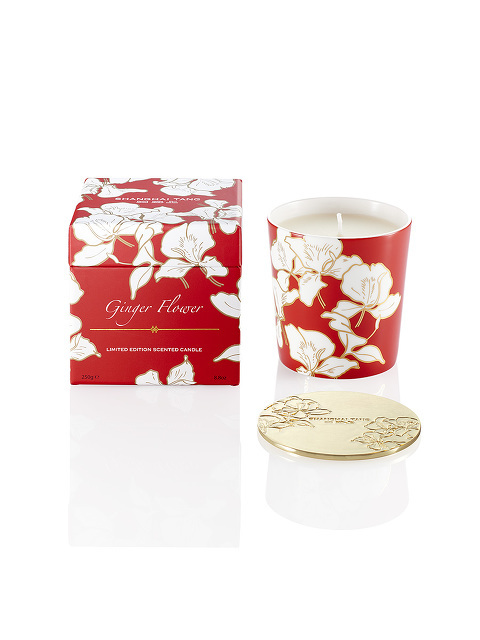 The colourful Prisma Ornaments print is inspired by Wedgwood and Chinese ceramics. The mandarin collar is another chic oriental detail. This standout scarf, with its intricate, kaleidoscope style pattern, is inspired by Wedgwood and Chinese ceramics. Finely printed on high quality mulberry silk, the pattern is an exquisite reworking of traditional designs. 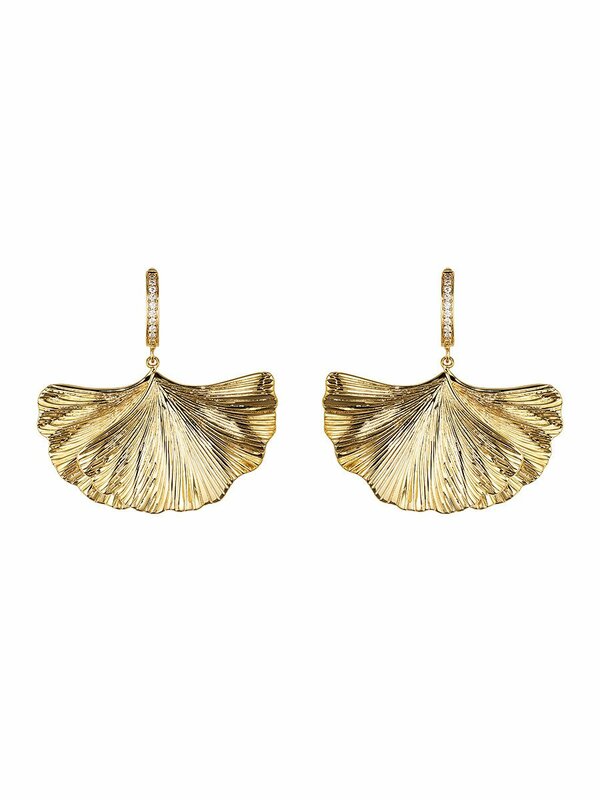 These playful earrings, embellished with pave crystal, are inspired by ginkgo leaves. 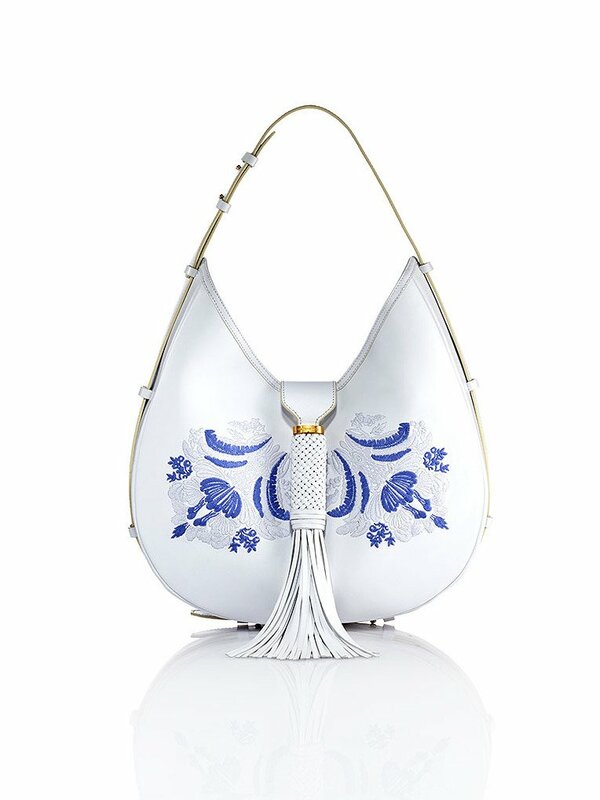 The trendy hobo shape is reinterpreted this season in white and blue floral design, inspired by Chinese ceramic. Casual enough yet eye-catching, the hobo is the perfect size for every day use. So light and easy to wear, this sleeveless silk dress has vivid appliqué embroidery around the bottom of the skirt and a lace plastron. The Palm embroidery, inspired by Wedgwood and Chinese ceramics, is embellished with micro-beads and French knots. Fresh and modern for summer, this beautifully crafted cropped jacket is embellished with our new season Palm embroidery, with micro-pearls and French knots creating a textured finish. Piping accentuates the structured shape of the jacket, and adds to the strong visual effect when paired with simple pieces. This alluring and feminine blouse, made from seductive silk crepe, is soft and light for summer. 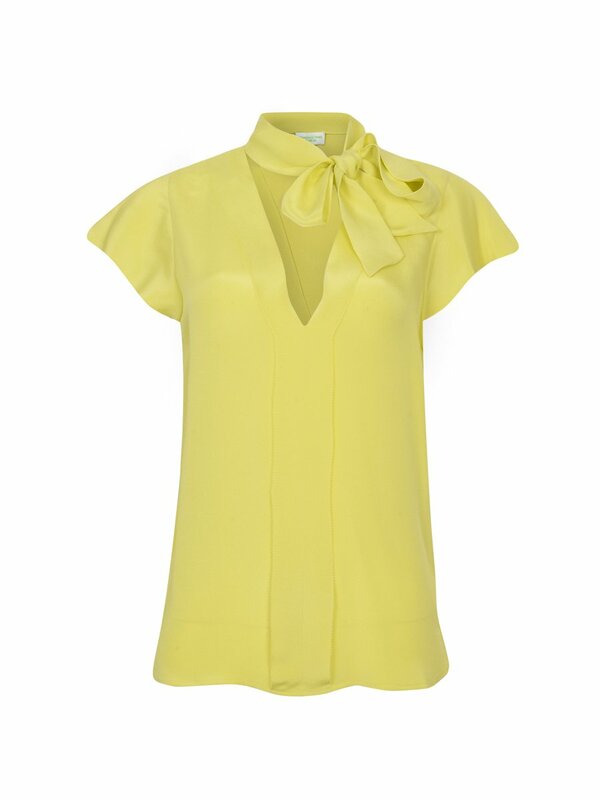 Available in zesty yellow and peach pink, it has ruffle sleeves, a V-neck opening and fashionable neck tie. 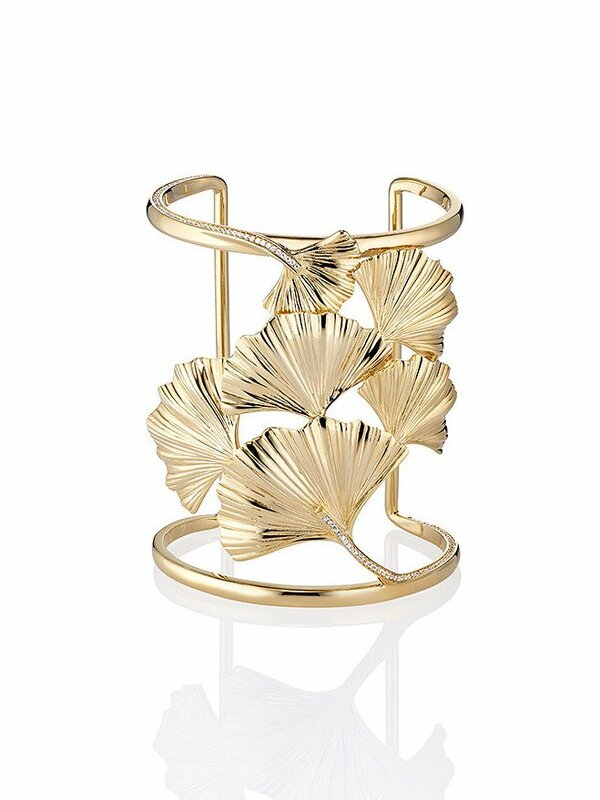 This statement cuff, with its flamboyant shapes, is inspired by the beauty of the ginkgo tree, and injects a touch of energy and drama into any outfit. Carefully crafted floral embroidery with beading is inspired by the colours, images and raised designs seen in Chinese ceramics, and adds beautiful textured detail to this fine mulberry silk clutch. 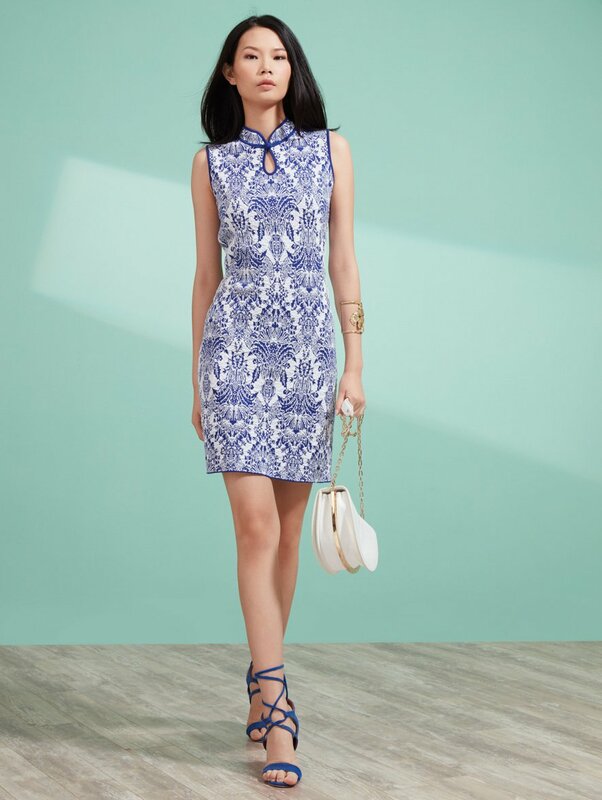 Our iconic knitted qipao is particularly elegant this season in new Chinese Ornaments print, which is inspired by traditional ceramics and has a textured appearance. Short, comfortable and easy to wear, this cotton dress can be worn for all sorts of occasions. 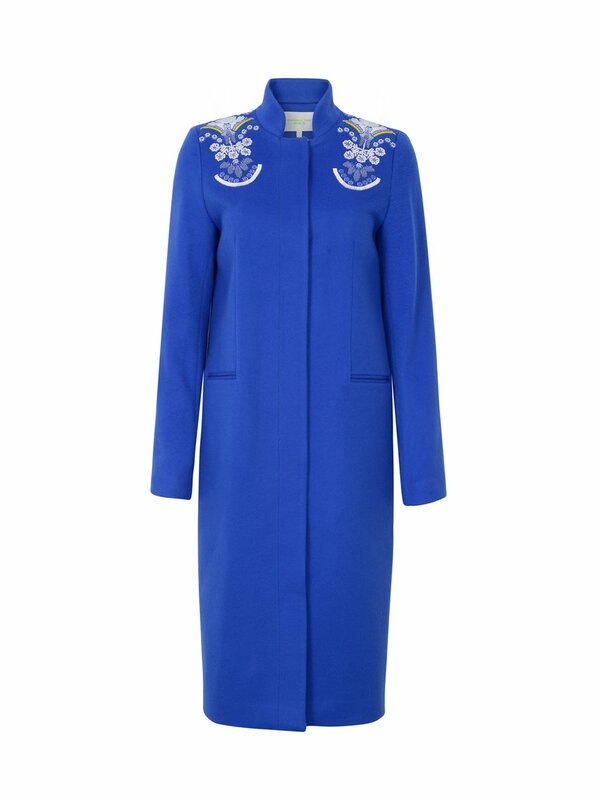 This beautiful long fitted coat, in pure wool, offers both warmth and elegance, and has exquisite embroidery on the shoulders, inspired by Wedgwood and Chinese ceramics. 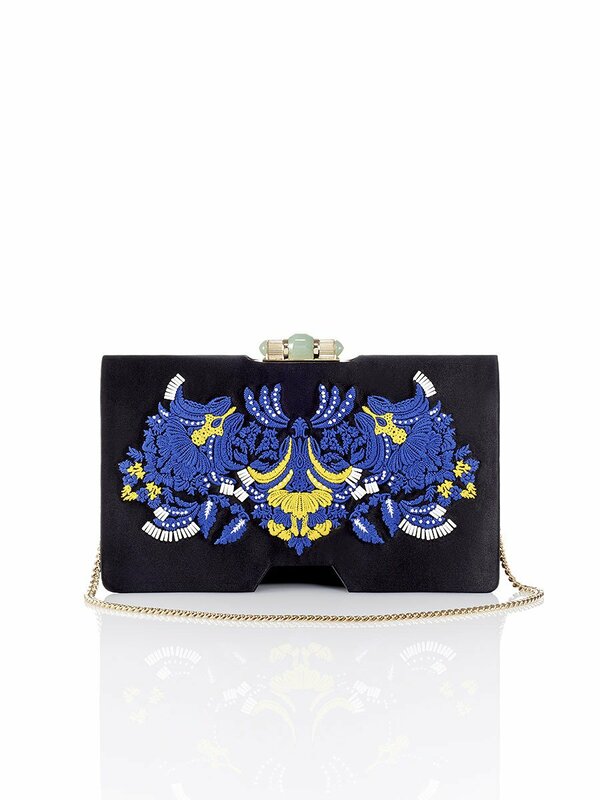 Carefully crafted floral embroidery with beading is inspired by the colours, images and raised designs seen in Chinese ceramics, and adds beautiful textured detail to this fine mulberry silk clutch. This beautiful piece can be used as a clutch or shoulder bag. Perfect for day to evening, this fit and flare dress with cap sleeves has exquisite Palm embroidery on the skirt. 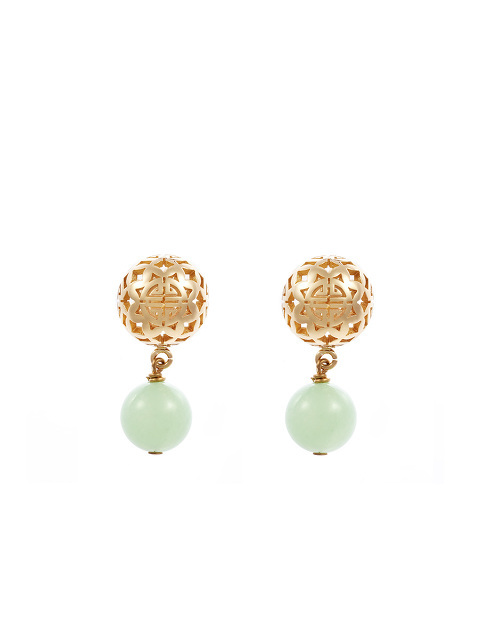 Inspired by Chinese ceramics, with a mirror effect pattern, the embroidery is embellished with tiny pearls and French knots.